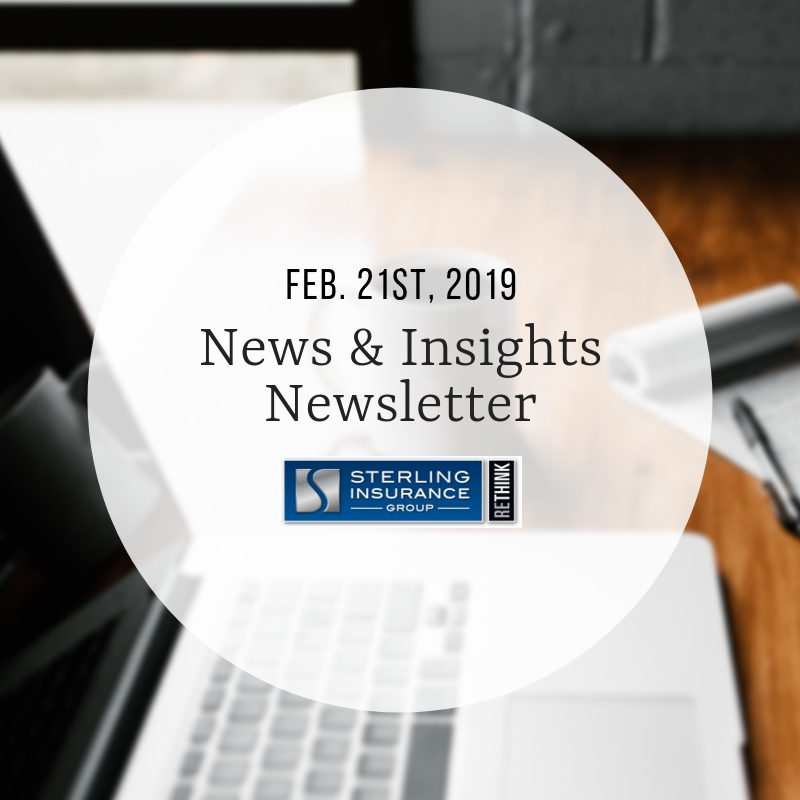 This newsletter was sent to Sterling Insurance Group clients and friends on Thursday, Feb. 21st, 2019. Want to get this bi-weekly newsletter in your inbox? Email jgiffels@sterlingagency.com today to be added to our mail list. Thanks to everyone who was able to attend the Cyber C-Series event Sterling Insurance Group lead on February 20th, 2019. Together with Beazley Insurance, Sterling was proud to present a look at the vast world of Cyber Liability Insurance. No two Cyber policies are the same. Brokers who understand the complexities of a data breach are best, especially in the event of a claim. If your Cyber Liability Insurance policy is more than a year old, it’s time to review! Want a similar presentation at your place of work? Contact Sterling today to make a request. Our team of seasoned experts are happy to arm teams of all sizes with the facts about Cyber Liability Insurance. After all; no industry is exempt from the dangers of a Cyber attack. Sterling’s sister branch to the North – Lappan Agency – is hosting a Marijuana in the Workplace event on March 21st. In the area? Join us! Learn more and be sure to RSVP ahead of time. Flip through Sterling Insurance Group’s latest Risk & Business magazine now! The agency covers work safety programs, nonprofit insurance and more. Enjoy now! Save the date: Sterling Insurance Group is proud to host Automation Alley’s upcoming Tech Takeover on March 13th. Topic: Cyber Liability Insurance. See you there!